they usually wore something other than a peaked cap. This is probably a question that has been discussed but i couldnt find anything in my search. Wait. We're talking about the WW2 games, right? The padded berets were not in use anymore after the Battle of France, which no games cover as of now. 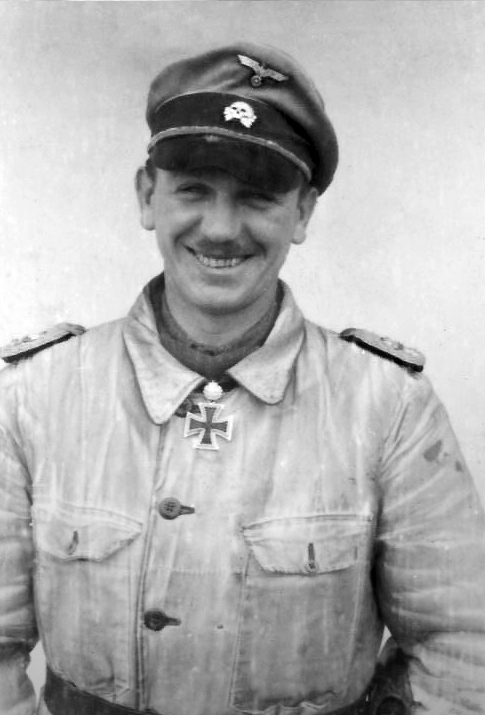 German tank commanders did wear side caps and field caps, with white piping for officers. I think it helps distinguish between the rest of the crew (which we don't see much of anyway) and the commander, and because it's just plain classy and correct anyway. By the way, if you want side caps on your tank commanders, all you need to do is extract the base game files, rename some model and texture files and you're good to go. If you don't feel like you can do it, then I'll be happy to do it for you if you ask. Unfortunately, there aren't any field cap models in the games. I should have also mentioned the field caps. Thank you for the information and your kind offer. Am surprised the Germans abandoned padded headgear for AFV crews. The Russians campaigned a helmet design which was pretty much the same from the 1930s through just a few years ago, if that. The new model looks like the old one to a large degree, but it uses high tech material to provide better impact resistance.After spending a bit of time in a T-55, a T-62 and a 76 mm Sherman, there is no way I'd care to be without good head protection, and the tanks I was in were all static! As brother George pointed out yesterday, it doesn't matter how good your gun stabilization os if the gunner is being bounced about so much it's impossible to use the sights effectively. good question. I´d guess one reason for german tank crews beeing rather light at the head might be major importance for quick response and reliable inter crew communications. Maybe crew comfort (or lack of) and spaciousness in russian tanks made padded stuff more necessary. 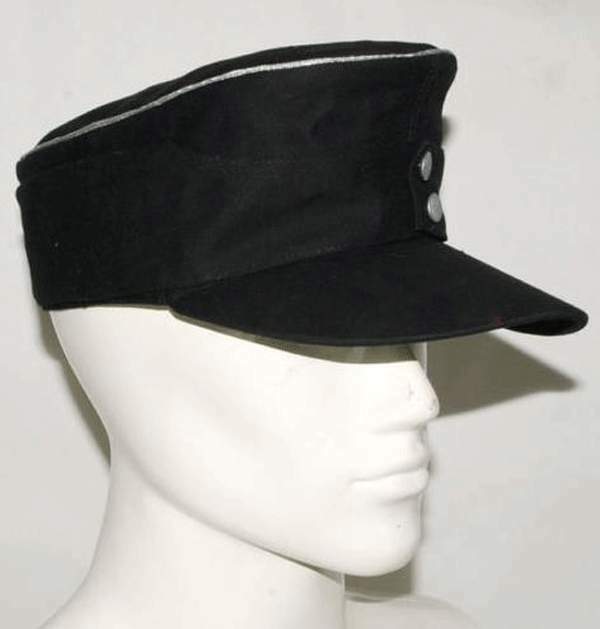 will it be possible to have the officers with peaked caps and the NCO with side caps? I'm sorry, but that's impossible. 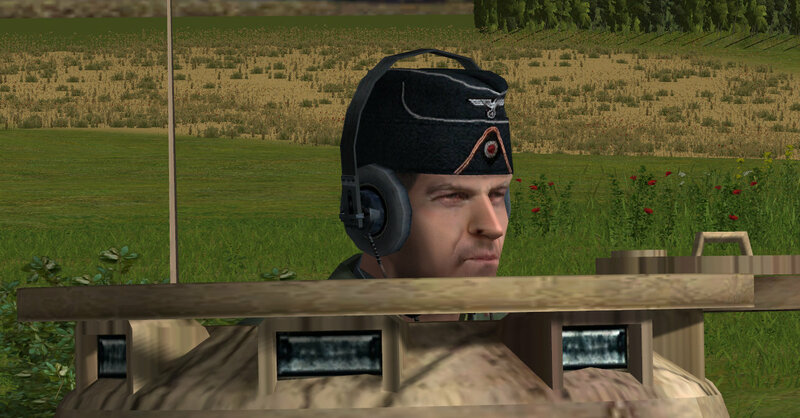 I can't make it so tank commanders wear different kinds of headgear at once because there's only one type of tank commander model in the game for each faction, and for the Germans that's a Leutnant. I can only make it so they all wear peaked caps or side caps. Both NCO's and officers wore peaked caps without the braids on the front, so it's a good compromise. pitty, anyhow it will do less visual damage if everybody wears the side cap...Thanks a lot!!! So, do you want a mod for side caps only? Are you using EZ's skin mod? Here you go. The textures are vanilla-only. I can expect that you're able to rename files, if you're not happy with it. I see you retextured it. Shouldn't be harder than putting a bit of white pencil on the skins, really.